If Creation were racist—as all religions on Lower Earth secretly hope—the plumage of this Wood Duck would be all one solid color. speckles of burgundy, red, and black, solid greens, with strips of white, patched together, making one quilt of a sight. For those true sons that have eyes to appreciate, to see more beauty in diversity. “people of many colors,” represent a deeper truth – Dialog With Nature. Nature is the unedited word of “the God” of creation. 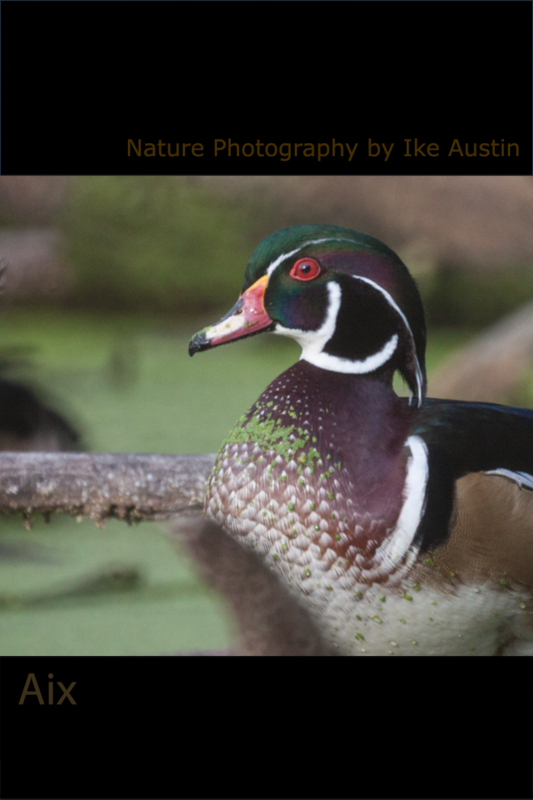 Appearance: The Wood Duck is a colorful bird. At times the Wood Duck is very skittish and glides near the edge of lily pads, along the rim of grassy wetland, and watching for the slightest movement or something out of place that wasn’t there before. Other times the Wood Duck can stare you down with those large red eyes. The Wood Duck like most ducks is a swift flier. Wing span can can extend to 3-4 feet. Adult: Male is multicolored, its covert and wing bars quilted with vivid patches of plumage with bright metallic feathers on its head. Flight Characteristics: Swift and quick wings in flight and typically flapping their wings as they rapidly lift and fly off. Wood Ducks prefer open wooded marshes, and wetlands. Mating Habits: The Wood Duck start courtship during the fall and winter at migration spots. The female Wood Duck selects her mate and are usually monogamous for life. 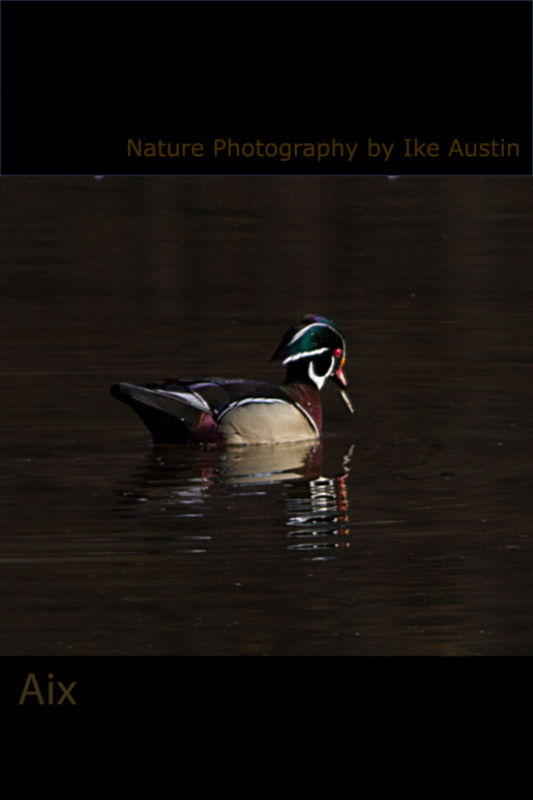 Migration: Fall migration southward, the Wood Duck returns to northern regions early spring. Nesting: Will construct a nest open tree cavities as high up as 50 feet. Incubates 10-12 pale white eggs for appx 25-35 days. Young are generally shown where to find food(vegetation and nuts) and gain independence in as little as 30-35 days. Feeding: Day hunter. Some diet food includes; vegetation, nuts, and grasses. Call: Very low squeaky sound. For an interesting, imaginative, new awareness view about life and attitudes… read the book below. As a kid, I spent an enormous amount of time down by the river. I was drawn like a magnet to the many sounds of nature that filled the air-the tides rumbling ashore, the faint call of seagulls echoing in the distant background. I would remain there all day under the pretense that I was fishing. I would walk the long river shores for miles, moving from one spot to the next (from bridge to bridge – Ambassador to Bell Isle). I later discovered that the sky above this river was alive. 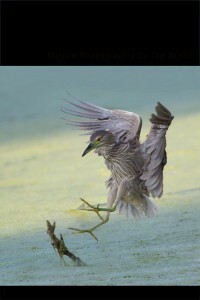 Visit the photo gallery to request prints, photos or screen savers you feel you particularly enjoy.